Established in the year 2007, PCI Analytics Pvt. Ltd is one leading manufacturers,suppliers & exporters of wide range of laboratory and scientific research equipment and instruments. These comprise AAS Accessories, FTIR Accessories, Gas Generator, Gas Purification Panel, HPLC Column Oven, Digital Gas Flow Meter, HPLC Accessories and Laboratory Equipment. These are appreciated for compact design, accurate measurement, easy operation, consistent performance and long service life. We are led by managing director of the company Mr. Chander Golan, whose visionary approach and vast experience has enabled to carve a strong foothold in the domestic market. Under the aegis of director Mr. Prakash Golani, we are enjoying the technical growth in industry. To create consistent value & defect free products for our customers & managing. Our business with integrity and the highest ethical standards for Chromatographers & Analyst. 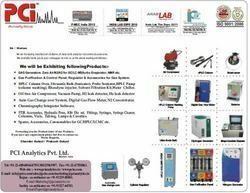 To provide product solutions for all Analytical Instrument & accessories. • We believe in high integrity as the guiding principle of doing business. • We believe in our teammates and their well-being. • We believe in providing superior customer service. • We believe in delivering long-term value to our Customers. 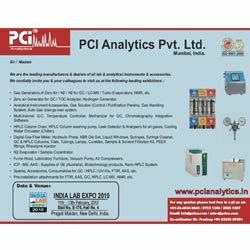 We are pleased to introduce ourselves as a supplier of USP, EP, BP & NIST Certified Reference Standards, Head Space Grade Solvents and Ultra High Pure Solvents for HPLC GC, LCMS analysis. Being in the industry for so many years, we have established cordial business relationships with leading companies. To meet the organizational objective, our professionals perform each and every activity sincerely. We have highly experienced engineers and technocrats who effectively undertake the entire production process to offer quality products. Our quality controllers conduct regular inspection to ensure that our laboratory & scientific research equipment and instruments stand up to the international standard. We have sales and marketing personnel who acquainted with industry norms and work consistently to promote our brand name.